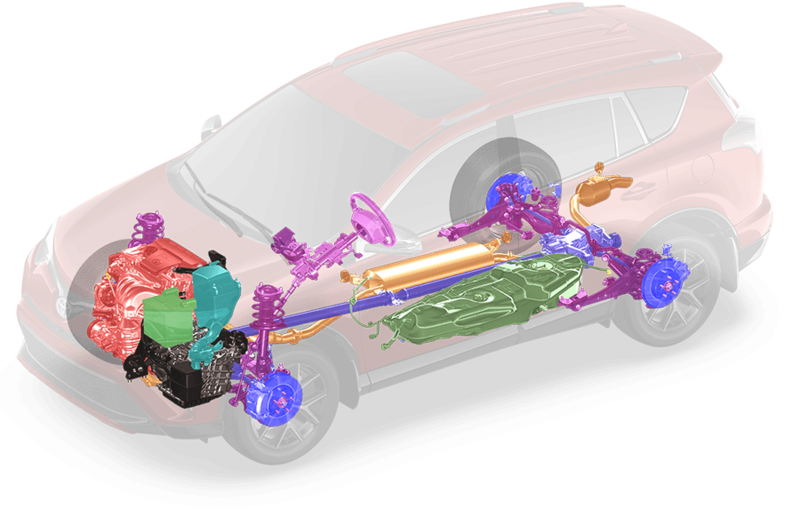 All work is conducted by highly skilled professionals – every Toyota Service Advisor is certified and every Toyota Service Technician is factory trained to service your Toyota or Scion vehicle. Plus, we conduct competitive mystery shops twice a year to ensure that your receive the best value for your dollar. Experience the “advantage” for yourself. 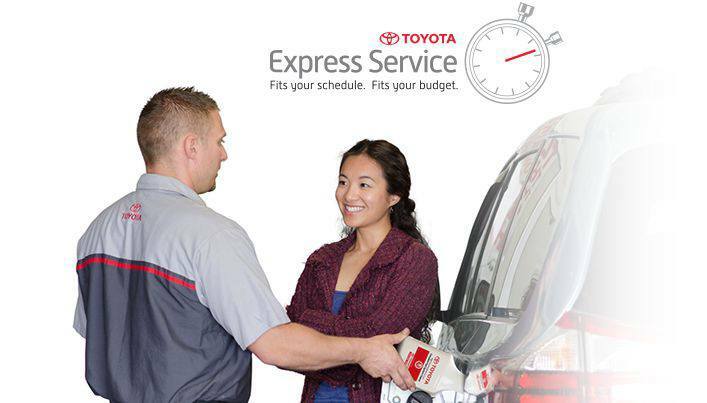 Toyota Express Service is designed to get you safely back on the road within a time commitment that fits your schedule. Expert Service Advisors customize each visit according to your vehicle’s mileage and recommended factory maintenance, including an oil & filter service and multi-point inspection. Wait for your vehicle in a dedicated customer lounge, and enjoy complimentary coffee, TV and WiFi. * Or, take advantage of a free customer shuttle to get you where you need to go and back again when your vehicle is ready – as promised. To keep your Toyota running smoothly for years to come, one of the most important things you can do is to keep up with the manufacturer’s recommended maintenance schedule. There is no better place to take your Toyota or Scion for service, than your Toyota dealership. When you visit your Toyota dealership for Service, you can count on us to take good care of you and your vehicle.